Since 1982, Eisenbart & Sons has been installing the most elegant, custom-designed doors, windows, mirrors, screens, and more for businesses throughout Southern California. With three decades of experience and over 100,000 satisfied customers, we have the knowledge and expertise necessary to help your business look more professional and inviting. Our family-owned and – operated company has a strong commitment to superior workmanship, and we offer the best value in Orange County and the surrounding areas. 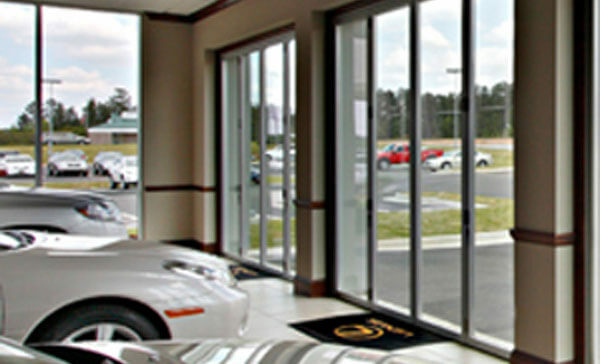 We offer commercial windows in a wide variety of styles and designs, custom-made to fit the existing openings in your office or business facility. We'll install or replace your windows with absolutely no damage to the stucco or drywall in your building. If you're looking for commercial doors, our expert staff will help you pick the perfect style to compliment the look of your business. You're sure to find the perfect door in our large inventory of entryways, interior doors, French doors, patio doors, and more. At Eisenbart & Sons, we never use subcontractors, so all of our projects are Eisenbart-quality guaranteed. Our staff is experienced, knowledgeable, and efficient; your commercial project will be completed within two to three weeks from order to installation, and many installations only take one day. We accept Visa, MasterCard, and Discover. With Eisenbart & Sons, you'll find the widest selection of doors and windows at the best value in Southern California! For all your needs in doors, windows, glass and more, call Eisenbart & Sons today!